Fishing continues to remain fantastic as the season progresses with over 30 master angler class fish on the board. We are still finding some great fish in the traditional spring locations such as wally world where Ron Lange proved that the early bird truly does catch the worm by landing a 28.5 inch walleye. Ron was spotted leaving the dock at 4:45. In addition to the spring spots, walleye and pike are beginning to spread out into the main parts of the lake. With a surface water temperature of 65 degrees, the majority of fish are being caught in 6 to 8 feet of water. I had a blast yesterday fishing down river with Darrell Williams and David Wald as we tackled the hutch lake portage. We spent the majority of time hammering down on walters below the third set of rapids, only stopping to light a fire and devour 11 walleyes between the three of us. After running our boat back up the rapids we stopped for a final 15 minutes of fun below the second set where Dave patiently hauled up this beauty pictured below in heavy current. Tonight we're getting a fully guided group of 10 so stay tuned because something massive is bound to be revealed this week. This year marks my fourth season working as part of the dogskin team. There isn't a day that passes where I don't stop and think how truly fortunate I am to be counted amongst the lucky few who can honestly say that they love what they do for a living. Fishing, hunting, and people have always been my greatest passions in life and I can't see that changing any time soon. If you're as obsessed with fishing as I am, you probably get out a lot but it is this time of year with open water walleye and pike season fast approaching where I really start to get excited! I've come to realize that as much as I truly love fishing, the best part about the sport transcends the personal satisfaction of the catch. Surely I hope to catch a few masters of my own this season, but the best moments come from the comraderie between anglers sharing their passion and taking time to enjoy the simpler things in life that are all too easily lost amidst honking horns and tight deadlines. Miss King with an Honest 27.5"
You know you're living the dream when…. Today Darrin and I set up the South Clayton and Hutch Lake portage opportunities. Naturally, we had to test the waters and found ourselves wetting a line or two in-between hauling boats and motors up and down the rapids. Darrin and I had blast on our adventure despite accidentally shooting the second set of rapids backwards. The icing on the cake goes out to Terry Skilling who landed yet another 42" Manitoba bruiser a mere hour after setting up the South Clayton portage. The only word that can really sum up the start to our season here at Dogskin is insane… Perfect conditions and timing for the spring walleye and pike hunt has produced nearly 20 master angler fish already. We are in the process of collecting pictures from guests so you can expect an awesome picture update shortly. Trophy fish are being caught using a variety of techniques including large and small crank baits, spoons, and of course, minnow tipped jigs. I recently had the pleasure of spending two days of fishing with Bob, John, and Zack. One father, one son, and one proud grandfather, plus one Canuck fishing bum, equals a memory that will not be soon forgotten. I hope you enjoy these pics of a few of the big girls that didn't get away. After years of maintaining our old, but still workable website, we've finally migrated to a modern platform. It will allow us to more easily maintain and update the site while adhering to current design practices. One issue with the new site is that we lose all of the great content that we've collected on the messageboard over the years. We'll recreate some of those posts here so they won't be lost. However, most of our interaction will be taking place on Facebook and Twitter. Those websites allow us to get in front of our customers easier than forcing them to come here. As always, feel free to get in touch with us if you have any questions. We look forward to seeing you on the dock! Hello there!! 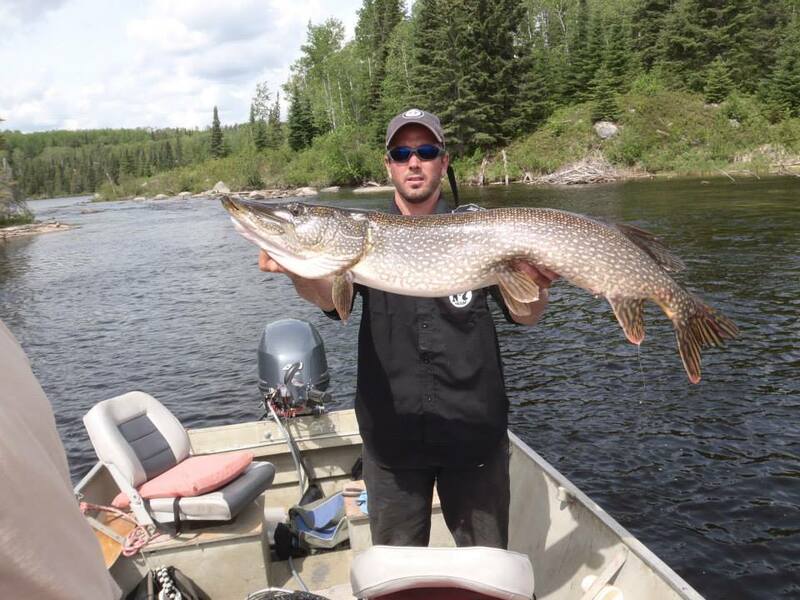 This is MikeyPikey one of the fishing guides up at DogskinLake Lodge. Sorry for the delay on fishing updates and such, the lodge and the crew have been busy busy. 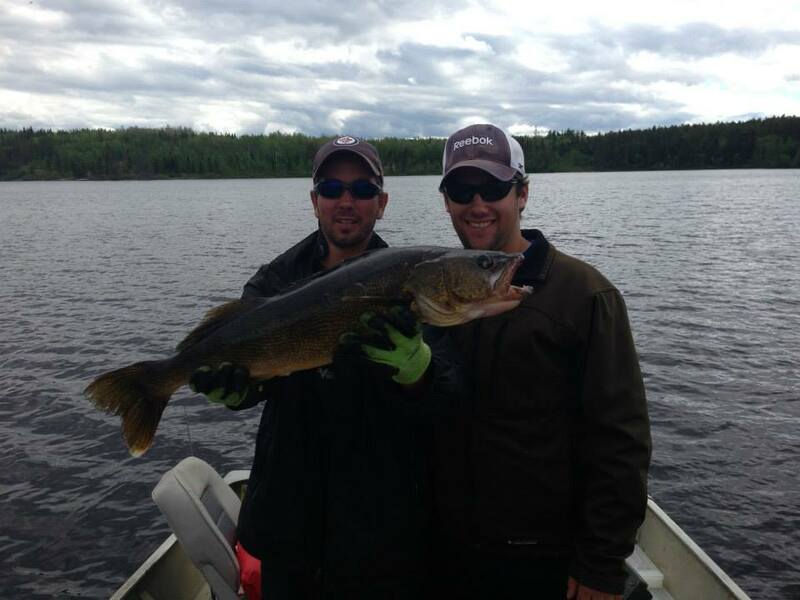 2013 Dogskin lake report goes like this..
MAY 2013--- The season started with a bang! cool weather but lots of action on the end of fishing line. jigs and minnows cleaned house on the WALLEYES down at the SOUTH RAPIDS,with many Master Angler PIKE trying to eat your walleyes. 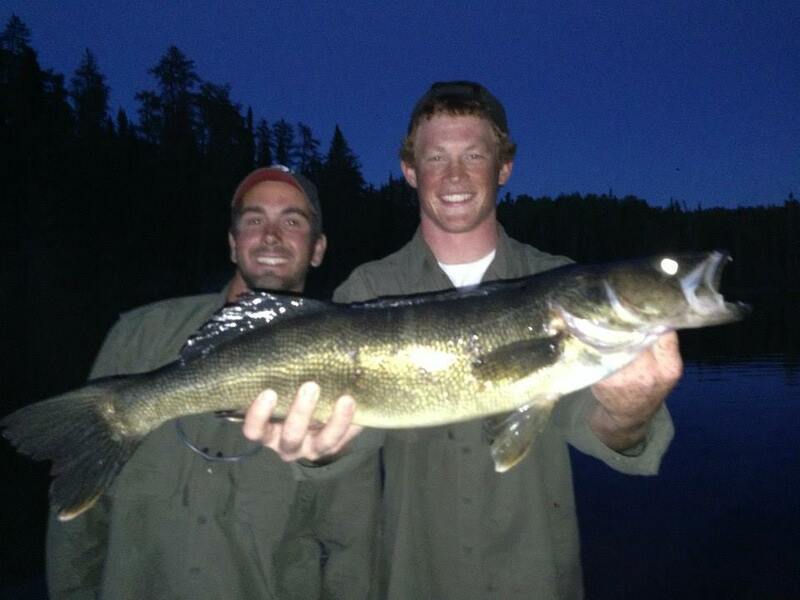 average person caught over 100 walleyes in a hour or so..
June was unreal fishing . this is my first year working as a fishing guide at dogskin lake and MAN!! I saw so many fish being caught. Master pike and master walleyes were a daily thing. once again jigs and minnows were the lure of choice. but lots of the bigger walleyes were being caught on five of diamonds spoons. or sliver doctor spoons. the pike fishing was at its best, non stop pike after pike. fished the shallow weedy bays of NORTH CLAYTON lake. BEAVER CREEK was awesome for big pike. I could type and type for hours about the june fishing.. but i have to keep it short and sweet..
so ya!! spoons were the killer lure for the month of june..jigs and minnows or leeches were the walleye slaying lures. As we stand this july is starting off to be the BEST fishing to date, "actually right now as i'm typing this a few guest came through the front of the lodge laughing on how they have never see or caught so many fish in their lives. lol awesome sight to see, people coming back from the lake beat from having so much fun fishing and catching their fish of a life time.. Most lakes the fishing is best in the spring/early summer.. well at Dogskin july in my opinion is turning out to be the best month yet. and july just started , excited to see what happen next! !